Complex trauma (C-PTSD) is still, relatively, a new term. It was coined in the 1990’s by trauma expert Judith Herman to connote repeated, prolonged (protracted, chronic) trauma. Another name sometimes used to describe the cluster of symptoms referred to as Complex PTSD is Disorders of Extreme Stress Not Otherwise Specified (DESNOS). In reality, C-PTSD is still actually just a proposed disorder: because 92% of individuals with Complex PTSD also meet diagnostic criteria for PTSD. Complex PTSD is not added as a separate diagnostic classification. I’m included in the group of many clinicians, however, who render it extraordinarily useful as a separate diagnosis. The current PTSD diagnosis often does not fully capture the severe psychological harm that occurs with prolonged, repeated trauma. While some symptoms may overlap, there are additional possible symptoms as well as possible conceptual differences. Certainly, more precision in diagnosis leads to more precise treatment, and treatment for PTSD often fails with those experiencing C-PTSD. So, regardless of how one’s cluster of symptoms is labeled, it is crucial for a clinical to know the hallmarks of C-PTSD. Most often interpersonal, involving direct harm, exploitation and maltreatment including neglect/abandonment/antipathy by primary caregivers or other ostensibly responsible adults. Often occur at developmentally vulnerable times in the victim’s life, especially in early childhood or adolescence, but can also occur later in life and in conditions of vulnerability associated with disability/disempowerment/dependency/age/infirmity, etc. While there are many types of repeated trauma, it is most often experienced by children who are victims of long-term physical and/or sexual abuse. It also can include: experience in a concentration camp, POW situations, long-term domestic violence, prostitution/brothel situations, and organized child exploitation rings. 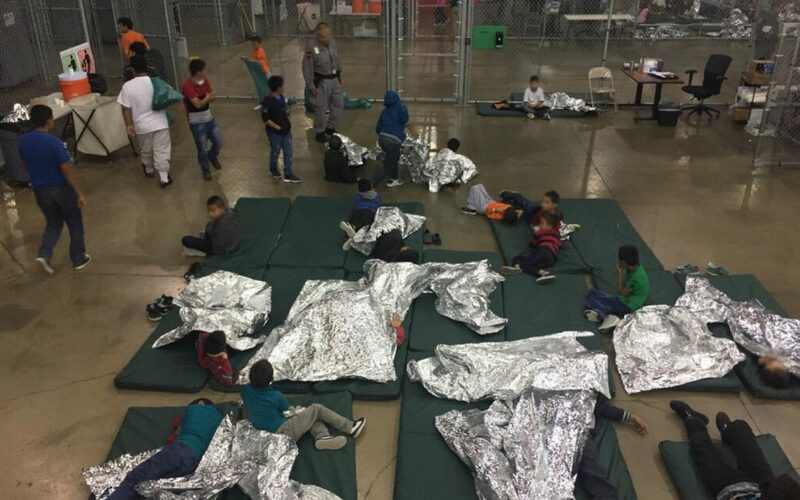 In all of these circumstances, according to Dr. Herman, the trauma victim is generally held in a state of captivity, physically or emotionally, and in a situation in which there is no actual or perceived way to escape. 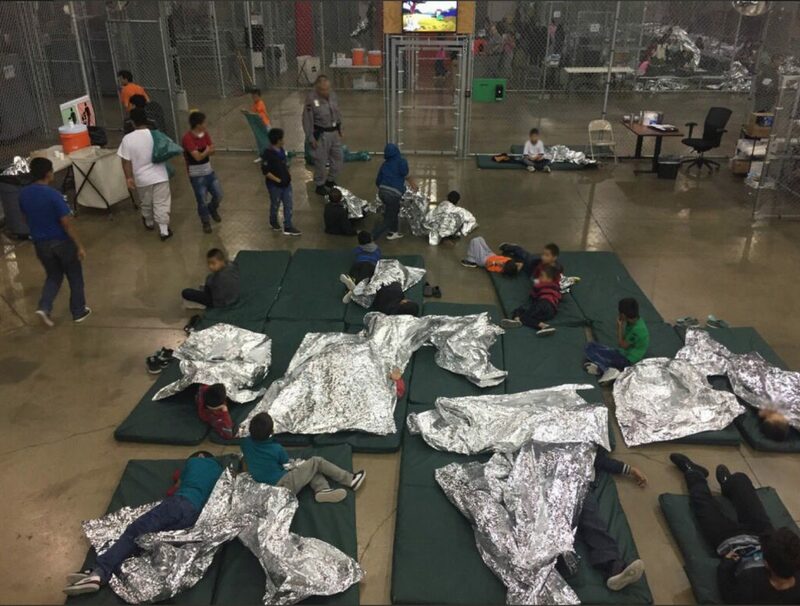 As I write this, I humbly and painfully think about how the current #BorderCrisis is a #MentalHealthCrisis, and how this will impact these children long-term. At the heart of C-PTSD is the idea of emotional neglect. When it comes to human beings making emotional attachments and proper development – we need more than just a bed to sleep in. C-PTSD is not a psychological death sentence, so to speak, and there is treatment, but it needs to be recognized in general, and particularly with regards to what is going on at the border. People need to know that these children need help, and like any challenge, the earlier there’s intervention, the better. Difficulty Regulating Emotions: May include persistent sadness, suicidal thoughts, explosive anger, or inhibited anger. 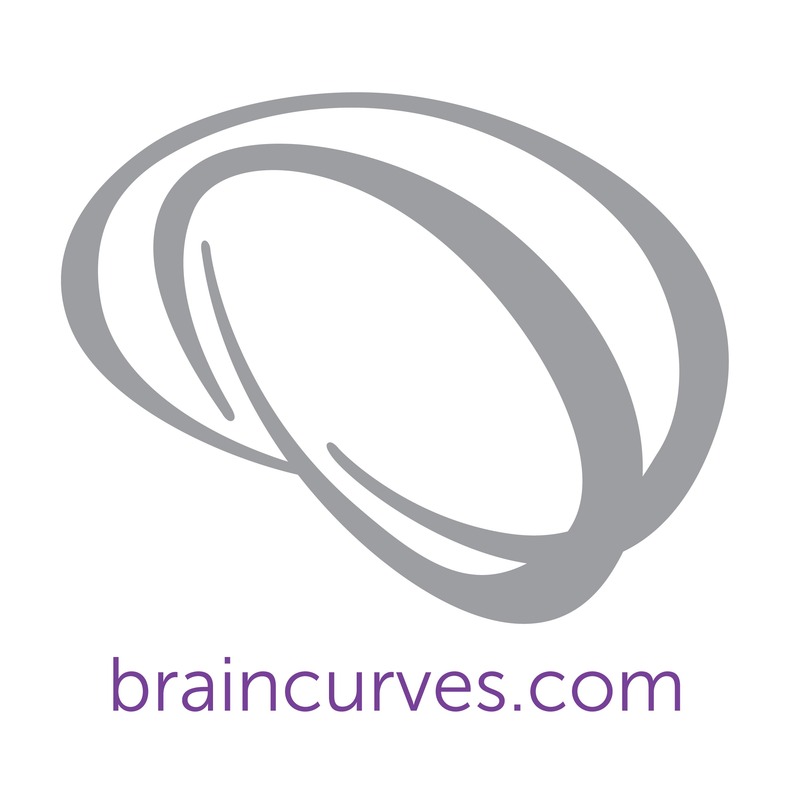 Alterations in Consciousness:Includes forgetting traumatic events, reliving traumatic events, or having episodes in which one feels detached from one’s mental processes or body (dissociation). Alterations in Self-Perception:May include helplessness, shame, guilt, stigma, and a sense of being completely different from other human beings. Distorted Perceptions of the Perpetrator:Examples include attributing total power to the perpetrator, becoming preoccupied with the relationship to the perpetrator, or preoccupied with revenge. Difficulties with Relationships to Others:Examples include isolation, distrust, or a repeated search for a rescuer. Somatization and/or medical problems: Somatic reactions may relate directly to the type of abuse suffered (or any physical damage endured) and can involve all major body systems. Alteration in One’s System of Meanings:May include a loss of sustaining faith or a sense of hopelessness and despair. Personal Clinical Note: Patients of mine who have experienced complex trauma, consistently describe feeling a lack of sense of self, very low self-esteem, extreme self-loathing, difficulty in interpersonal relationships, and an inability to discern between any real or potential threats to their minds and/or bodies. Often, and while this can happen in other diagnoses and from enduring a solitary trauma, it is more likely for someone who is chronically traumatized to engage in self-destructive and self-mutilating behaviors. 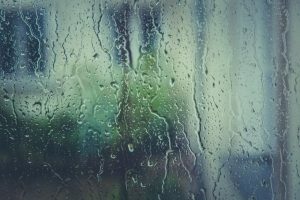 It’s April, and while that means more rain showers, it also means it’s time to recognize a literary style “in which special intensity is given to the expression of feelings and ideas by the use of distinctive style and rhythm”. Or, simply put, poetry! In honor of National Poetry Month, I would like to present these 4 poems that not only resonate deeply with me, but have also helped to inform my work with my clients. One of the beauties of poetry, I think, is that there is no single meaning to any one poem. The poet pens a narrative in verse that can be interpreted in all ways; I would even go so far as to say that a reader of poetry projects upon a poem what he/she needs in that given moment. The interpretation is never static, and likely the reader will experience something different with each reading or recitation. So, if it stirs something within you right now – and moves you to greater awareness of self, others, and the world – then honor those things! Vulnerable alert: These works have seen me through difficult times. As my post-doc and a romantic relationship were both simultaneously coming to an end in 2010, the feeling of loss led me to these poems. I recited them every time I needed a reminder that not only was it was okay to feel every iteration of my feelings, but that those feelings were also healthy, and important – serving as a springboard for new endeavors and a greater openness to identifying, and then saying yes to, those things I desired that were beyond my comfort zone. Reciting the poems, as I power-walked around the Charles River, comforted me, and also allowed me to notice and feel the pain of confronting the changes in my life. The more I recited, the more I let myself feel, and the more facile it became to just put one foot in front of another, trusting that those small steps would lead me to my somewhere new. The words reverberated over and over until I found my way towards healing. There is much to be learned from a poetic journey inward. I hope that one, or more, of these poems bring you some of the peace that they have brought me. The Journey resonates with me because it speaks to the idea of individuation and separation. It is hard for most of us to leave our family of origin, mentally speaking. It’s a challenge to go out into the world, without the protection and grounded-ness that our primary attachment figures provided (if we were lucky enough) when we were younger. It is also just as hard, because despite wanting to “become ourselves” as individual entities, we often stay enmeshed in the maladaptive patterns of our ancestry. Their traumas, and subsequent triggers, sometimes become ours, and though we want to shed those layers from our own psyches, it is what we know – the familiarity is resoundingly comforting. My clients and I have learned that we sometimes make unconscious agreements with ourselves to hold on to the pain, until we realize we can’t breathe from the bearing of it, and we need to let go of it in order to save ourselves. Both personally and professionally I know so well that change is hard. Actually, that’s the understatement of the day! When we have engaged with certain unhealthy thoughts, feelings, and behaviors for a long time, the path towards wellness takes extra patience, perseverance, time, and trust. This poem resonates for me because it reflects a sequence of change that is authentic. Portia beings by speaking to the deeply painful reckoning with bumps in the road. Then, she begins to recognize patterns that might be holding her back, but does so with a gentle nudge and compassion for herself. She continues by putting just one step in front of the other, supporting herself through each step, not blind to the challenges, but not beating herself up either for the slow progress, which includes literally falling into the same old maladaptive patterns. She recognizes that patterns are like habits, accumulations of ways of being and showing up in a world that used to work for us, and that most likely previously protected us from our pain. Ultimately, she finds a new path. This doesn’t mean her journey is over. In fact, in some ways, it has just begun. Rumi, the Sufi poet, waxed poetic in his ‘The Guest House’ a long time ago about how we should treat every emotion as a visitor, without looking to get rid of any of them, but rather to understand their message and purpose. Emotions are neither inherently good nor bad, and to think of them in such dichotomous terms is to do oneself a disservice. Emotions just are. In fact, every emotion tells us something about our inner experience that might be informing our outer experience. 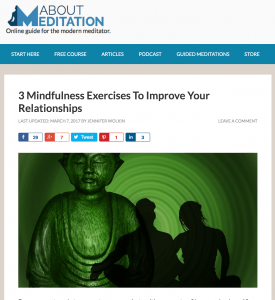 What Rumi alluded to in his writing was also recently confirmed by research (http://www.scientificamerican.com/article/negative-emotions-key-well-being/) – which indicated that well-being is actually predicated on having a wider range of emotions, including the negative ones! Yes, that’s correct, the more you can feel, in all of feeling’s iterations, the better off you are. While relaxation is a beneficial byproduct of mindfulness practice, its salutary effects are associated with the ability to help us expose ourselves to our emotions, to truly feel them, with compassion and as little judgment as possible. 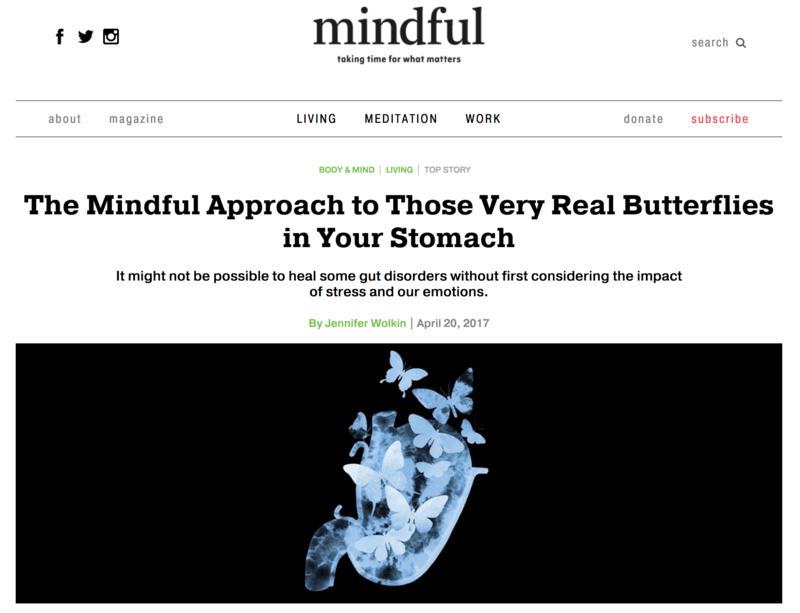 That’s why techniques like mindfulness have gained anecdotal significance, and their effectiveness is being confirmed through rigorous research. We are socialized from a young age to think that being “good” means that we will be rewarded. What does “good” really mean though? The need to “be good” for the sake of approval, or the idea that one needs to repent to be redeemed, is immediately refuted here. How do we differentiate our own moral compass, and being a “good” person versus a “bad” person, from how other people interpret “good” and “bad”? When we try to base our actions on other people’s definitions, it can often lead to stifling expectations and guilt, which leads to deep suffering. This poem, perhaps, then, speaks to a freedom that defies the need to be “good” as a way out of punishment or scorn by others. In this poem, Mary Oliver invites us to shed the shackles we so often place upon ourselves for the sake of pleasing others. She makes room for us to let go of that, to fully embrace our essence, without judging it, without labeling it good or bad or right or wrong. There is a chance for catharsis here, as we let ourselves connect to the “soft animals of our body”. Beyond the layers of somatic tension, clenching, and a protective posturing, is softness. The soft part of ourselves doesn’t need to hide. We shouldn’t deny what we love or whom we love or how we love. To me, the most poignant part of this poem is the invitation to shed those limiting layers, and to look at the bigger and grander picture; that is, all of us, every living creature, are immortally bound by our smallness and bigness all at once. Perhaps, this collective truth is the most healing of them all. You may have noticed that two of the poems I shared are from Mary Oliver’s oeuvre. I tried to be more diverse in my choices, but Mary has become a role model and mentor (read-she doesn’t know who I am!) for me in my own journey as a poet. 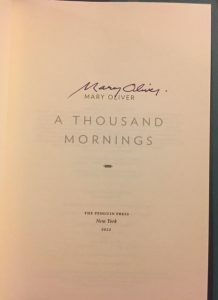 A few years ago I attended one of Mary Oliver’s rare readings and signings at the 92nd Street Y and scored this! Sometimes the only way out of a trying situation or time in our life, is to journey inward, and a great place to start is by peering into a poet’s own journey. I hope that one, or more, of these poems bring you some of the peace that they have brought me. It is officially the holiday season! 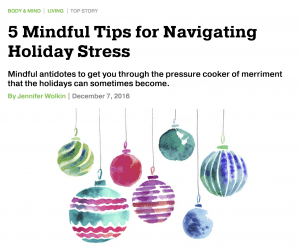 During this time of year there can be so much pressure that unfortunately the joy, magic, and meaning of the season is lost, often replaced by stress. Especially now that Thanksgiving has come and gone, it is hard to ignore the almost instantaneous rush of frenetic energy that ensues as we near the close of the calendar year. It is more than possible though to not only survive the holiday season, but to even thrive and connect to your particular observance in a deeper and more profound way. 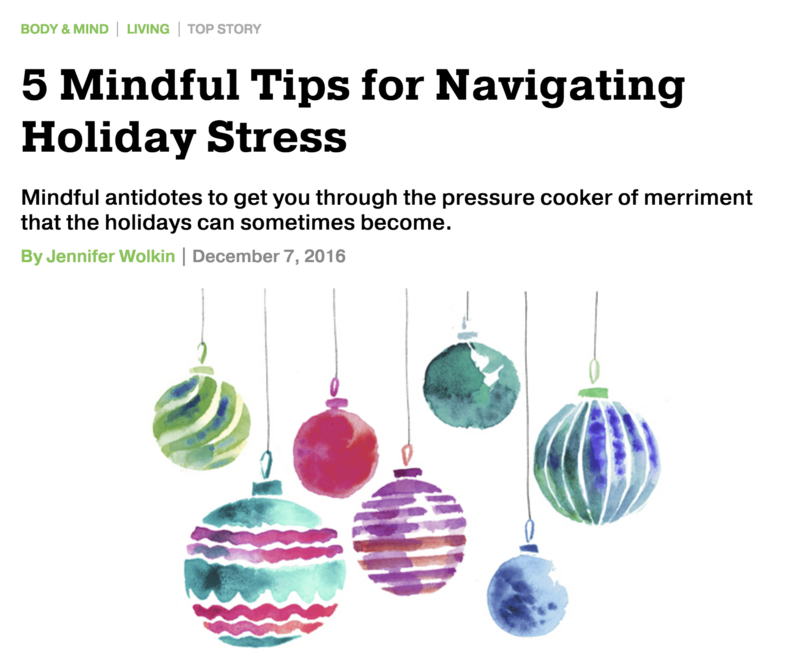 Here are some common stressors that pop up this time this year, and mindful antidotes to help you through the discomfort. In December, our schedules often fill up quickly with work and personal holiday parties. These back-to-back parties start to feel overwhelming as we try to juggle them with all of our other commitments. Also, creating the holiday experience we desire for our loved ones and ourselves takes planning. It often starts to feel like we are chickens running around with no heads collecting recipes, buying and wrapping gifts, inviting guests, hosting, traveling, cooking, cleaning, buying trees (or menorahs! ), and decorating. You do not need to say yes to everything. Giving and giving without stopping is not an altruistic notion. It is important to be mindful of when we might need refueling and to allow that to happen. Self-care can mean many things, but it can be as simple as a night to ourselves that includes a bath and a good meal—cooked by someone else! There is an immense amount of pressure to please the people we love with the gifts that we think they will love. Instead of a joyful endeavor, gift giving becomes a chore, and we often become resentful and unloved if we do not receive something equally meaningful in return. Pressure can also manifest by way of the longing to spend the holidays with those we love, and those we desire to love. For many, this may create feelings of loneliness. Antidote: Donate your time to help those less fortunate. The holidays are a particularly poignant time to practice the art of compassion, to think of others needs before our own. There is great opportunity to give to, and establish meaningful connections with, those who don’t have as many resources as we do. Giving doesn’t have to be monetary or a physical gift. Giving comes in many forms, including smiles, time, and emotional support. This time of year is ripe with the expectations we put upon ourselves to get it just “right.” Things have to look, taste, feel, and be a certain way. We start to get into this mind space where things have to be perfect, which of course, is not possible. It’s how we deal with this realization that determines our well-being. While it is nice to take the time to create a mindful, aesthetically, and gustatorily pleasing experience, we often get caught up in the trap of perfection. Not only does this make the holiday journey feel less joyful, but we also set ourselves up to experience a lot of disappointment. Antidote: Reflect on the meaning of the holidays. It is hard to stop and smell the roses at any time of year, and it is especially easy to get caught up in the commercial version of what the holiday season means today. But taking the time to mindfully reflect on what matters, whether it be our religion or tradition, or even the healing power of love, helps us to keep our perspective as the year draws to a close. We often seem to let all notions of wellness and health fall by the wayside during this time of year. The problem is not only are we not staying healthy, but we are also setting ourselves up for feelings of guilt and self-deprecation. A thriving life depends on moderation, and this concept particularly applies when we are inundated with mass amounts of food and drink. By eating mindfully, we can keep our minds, bodies, and brains healthy without the self-defeating thoughts of “we are so bad” “we are so fat,” etc. Antidote: Take time to enjoy all the flavors of the holiday season. Why am I eating now? What else am I doing now that may be distracting? Family stress shows up in many ways. This has taken on a new tone this year, given that many families made different political choices. While there might actually be very real difficulties surrounding the interpersonal dynamics of our family, we sometimes get caught up in fuelling the fire, rather than abating it. However, most of the stress and anxiety around family is often anticipatory. Based on not-so-pleasant past experiences, combined with the upcoming impending mix of different personalities, we start to worry about family dysfunction rearing its ugly head. While there might actually be very real difficulties surrounding the interpersonal dynamics of our family, we sometimes get caught up in fuelling the fire, rather than abating it. Take the time to step back and bear witness to all that you have, to count your blessings, as they say. Gratitude goes a long way when it comes to overall wellness. During this time of year, a sense of gratitude can easily fall by the wayside as indulgence and the idea of “more” and “merrier” are front and center. So, while in the midst of the tumult of the holiday season, try to re-center by consciously being grateful for the multiple aspects of this season, and our loved ones, that we are blessed to engage with. When you watch the Olympics, you can’t help but imagine the countless hours of training all of the athletes have devoted themselves to in order to accomplish the unfathomable feats of stamina, incomprehensible shows of endurance, and extraordinary acts of skill. And that kind of rigorous training, steeped in competition, often can’t be fully actualized without training the mind as well. Other athletes might be practicing mindfulness without knowing that’s what they’re doing—they just experience the flow state that comes with focused attention. A main component of mindfulness is that it helps cultivate awareness by paying attention, on purpose, and in the present moment. If left to its own devices, our human mind habitually wanders away from the present moment. When we’re not in the here and now, we dwell in the past, grasping and replaying it, or we project into the future, trying to anticipate the unknown (and often catastrophizing).These habitual thought patterns don’t serve our ultimate well-being. This kind of thinking is unhelpful for an athlete who can’t stop thinking about their last failed performance, or one who can’t stop obsessing over what this performance will mean going forward.Have you ever heard a sports announcer say that an athlete must have “been in his head” too much – which caused them to make a simple mistake, but one that cost them the game or race? When we are too focused on what we need to do to win, we lose ourselves in that thought and forget to remain in the moment. This year, Wilhem Belocian of France, bolted a split second before competitors. The false-start alarm rang out, and the 21-year-old’s hopes of winning a medal in Brazil were over. It was heartbreaking to watch as he collapsed to the ground and punched the pavement before laying on his back with his hands over his face, clearly in agony. Mindfulness is more than sitting on a cushion, eyes closed, back aligned, thumbs grazing forefingers, hands resting on thighs. No doubt, this is a feasible and efficient way to cultivate mindfulness, but it’s not the only way.The essence of mindfulness practice is learning to live with more integrity, by nurturing the power to choose our response in any given situation. We begin to live mindfully when we start to cultivate a way of being that embodies mindfulness-based principles like gratitude, loving-kindness, and compassion. When we are too focused on what we need to do to win, we lose ourselves in that thought and forget to remain in the moment. 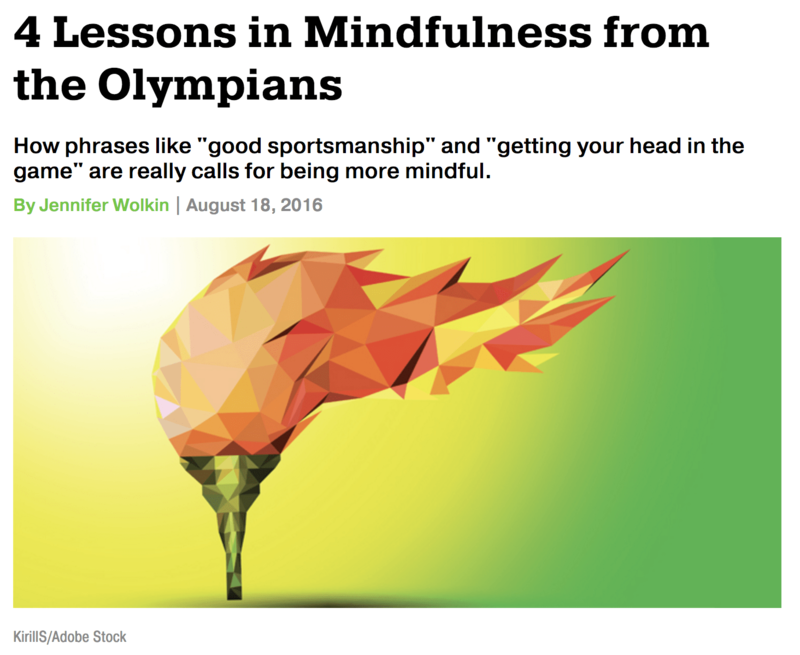 For an Olympic athlete, this kind of mindfulness practice is perhaps most reflected in the ability to engage in “good sportsmanship.”A prime example of this is reflected in the actions of Abbey D’Agostino, a Team USA 5,000-meter runner, and Nikki Hamblin of New Zealand. They both collided during a run, fell, and subsequently chose to spend the rest of the race encouraging one another, despite the fact that this had the potential to snuff out either’s chance to qualify for the next run. If someone who has trained and competed for years for this spot can forgive and help out their competition, surely we can see the bigger picture in our own lives as well. Stress-reduction has been noted as a useful byproduct of the practice of mindfulness. But an appropriate amount of stress is actually adaptive. For athletes especially, the stress-response (also knows as “fight or flight”) elicits an acute surge of adrenaline, and stimulates an increase of blood pumping to the limbs, which helps them as they race towards the finish line. While this mental pressure to beat out the competition is often crucial to success, sometimes the physiological stress response never turns off, and for many of us, stress begins to take the form of negative and unhelpful thinking styles that are often paralyzing.That’s where mindfulness comes in. The practice of cultivating our attention to the present moment also prevents us from living on autopilot. When we live on autopilot we often fail to notice our automatic thoughts, our innermost feelings, and the subtle physical messages that our bodies send us.For an athlete, who is constantly putting their body through high-intensity training, it can be easy to let minor sensations slide, as the adrenaline itself drowns out some experience of acute pain. 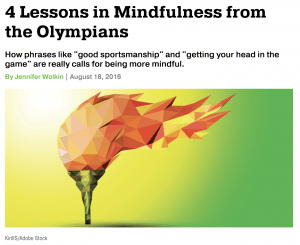 Mindfulness particularly allows an athlete to cultivate an acute awareness of their body, to know when and how to take care of it; when it needs a break, when it’s okay to push harder, when it needs to refuel, and when it needs a longer respite to heal. When we live on autopilot we often fail to notice our automatic thoughts, our innermost feelings, and the subtle physical messages that our bodies send us. To use Abbey D’Agostino as an amazing example again, after tearing ligaments in her knee, she understood that her season was over. But her message that it is more important to honor where her body is at, than to put it through activity that might exacerbate her injury beyond repair, prevailed nonetheless, and to many, she is still an Olympic winner—the true embodiment of what it means to be an athlete on the world stage. Sometimes life takes us out of the race that we are in, out of the path we saw ourselves on, but at the same time, this change allows us instead to succeed in things we never imagined. We all have our own golden pursuits. And we all have our own hurdles in life to jump, targets to aim for, and sand traps to avoid. But the real gold medal is a life of thriving, cultivated by paying attention to fully living and enjoying every moment. It really isn’t the destination that matters, but the journey that we take to get there. How will you take these Olympic gold messages with you as you reach for your life goals?